Can't understand why you have binge-watched 'To All the Boys I've Loved Before' more than five times already? 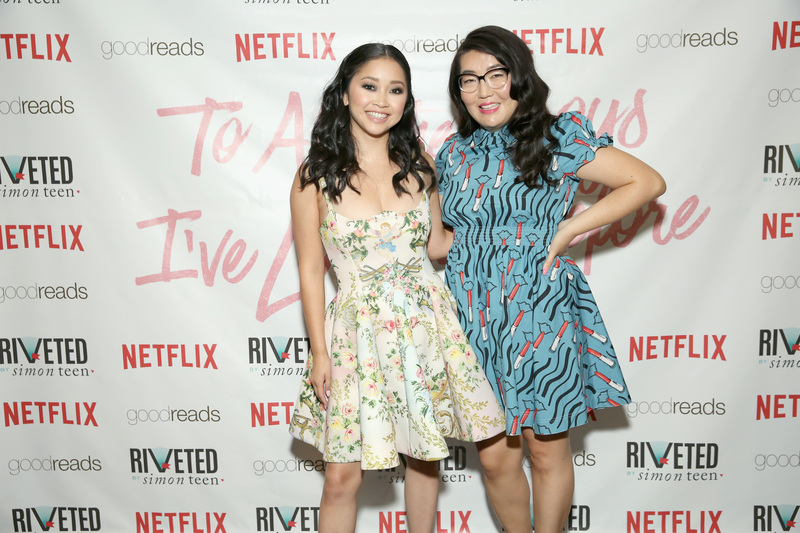 Lana Condor and Jenny Han are here to decode it for you. In an exclusive interview with Meaww, the writer of 2018's hit Netflix movie and the star of the same break down why the film garnered such a massive fan-base globally. "I think it's the warm-hearted genuine first-love-kind-of-movie, and people are wanting that moment to feel the warmth and that softness," opines Jenny Han, the Korean-American author of 'To All the Boys I've Loved Before,' and 'The Summer I Turned Pretty' trilogy. Lana agrees to the statement and explains why girls have connected with her character, Lara Jean Covey, on such a personal level. The 21-year-old actress admits that whenever young fans approach her, they consider her as "their best friend." "A lot of the girls have actually come up to me since the movie; they all approach me as if I am their best friend," Lana shares. "I think it's really magical to have a character that can make other girls and guys feel a little less lonely," she adds. "I mean there is something to be said about playing a character that has some good heart," says Lana. "She's warm and she's kind and I like to believe that is why people connected with her. She kind of marches to the beat of her own drum, she's just kind and I think that's why people like her," she explains adding that this particular character of Lara is what drew her to play the role as well. "I think it's really refreshing to be able to play a character that is so relatable and is such a positive role model," Lana says. Hinting towards the possibility of the sequel, she adds: "I hope more than anything that we get a chance to see her blossoming and grow with her," she adds. "What's so amazing about the movie is that now you are invested and you wanna be on this ride," Lana says. "So I think that is why people are drawn to her," she smiles adding, "That's what I like to tell myself." 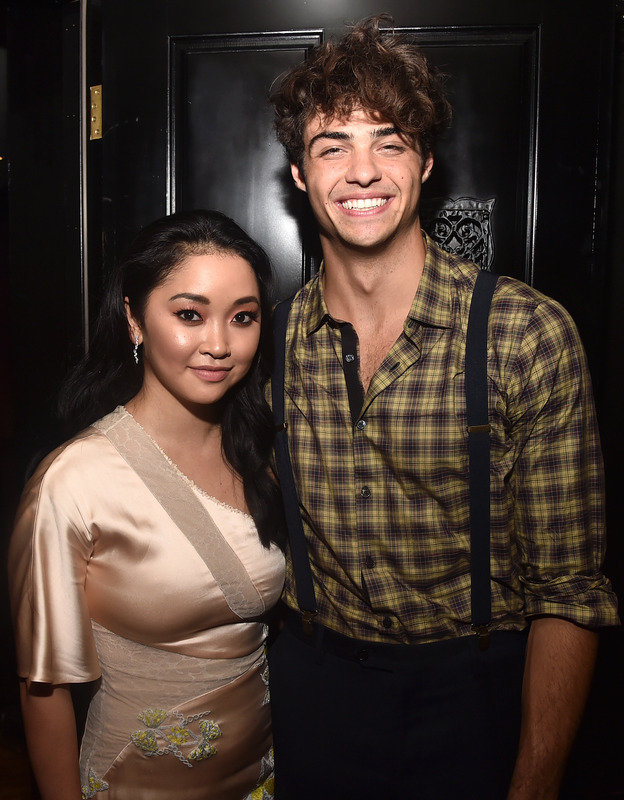 Lana Condor and Noah Centineo attend the after party for a screening of Netflix's 'To All The Boys I've Loved Before' on August 16, 2018 in Culver City, California. Lana's character of Lara in the hit film is described as a sixteen-year-old half-Korean, half-Caucasian girl, who has written love letters to all the boys she has loved or had a massive crush on since she was a kid. After pouring her heart out in the letter, she keeps the letters sealed in a teal box her mother gifted her. But the plot of the story unfurls when the letter gets leaked and makes it to all the boys she's loved before. However, what's interesting about Lara is that she is an authentic character who remains true to herself throughout, and that is exactly the message of the book/film, says the author. The message is "not to be afraid to be who you are," shares Jenny. "Like what you like. You don't have to change yourself for anybody else. I think what really sweet about the love story is that she is who she is in the beginning and she is who she is in the end. She is not changing her own likes and dislikes," adds Jenny explaining how Lara still likes to stay at home, bake cookies and binge on Netflix. "She does not change who she is for somebody else. I think it opens up about who she is more, so she feels more comfortable in the world and the world gets a little bigger for her. So I think that's my takeaway," Jenny smiles. Lana Condor and author Jenny Han attend 'To All The Boys I've Loved Before' New York Screening at AMC Loews Lincoln Square on August 14, 2018 in New York City. As for Lana, the takeaway is pretty simple: "You don't need all the bells and the whistles and the latest things to be a whole person. "And I think today, with the makeup tutorials and gadgets, people think they need material things to be a good person and you think Lara Jean, she's kind of old-fashioned right? And I guess I want girls to know what's here," she places her hand on her heart, "is the most important thing, it's the most important part." "You are brave enough to open yourself up and show others your true self. Chances are, they are actually going to respond to that, and whoever does not respond to that, you don't want them in your life anyway, so that is what I want people to know," she concludes.